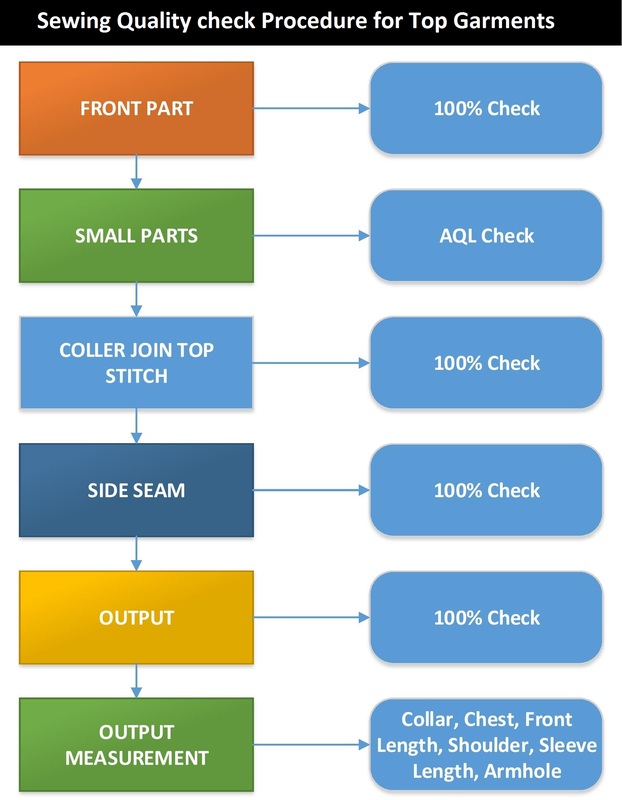 Home » Posts tagged "The Layout of Sewing Quality Inspection"
This content will give you an overall idea of garments quality controlling flow chart, Quality control layout and Quality management Organogram for Quality management system in the apparel industry. 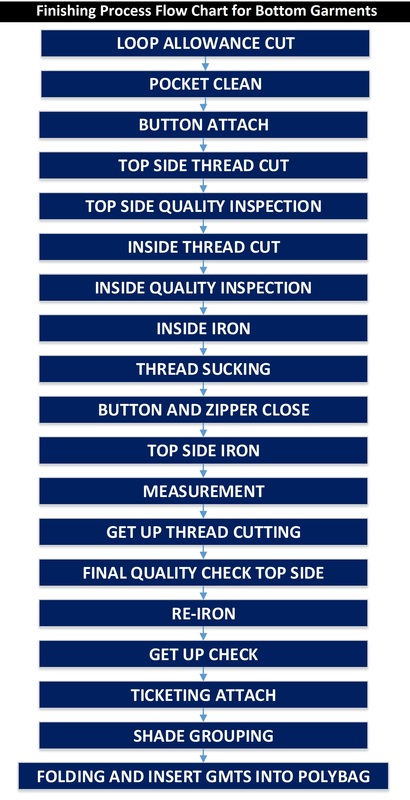 Hopefully, these would add value to your knowledge of Quality Flow Chart, Layout and Organogram of Garments. 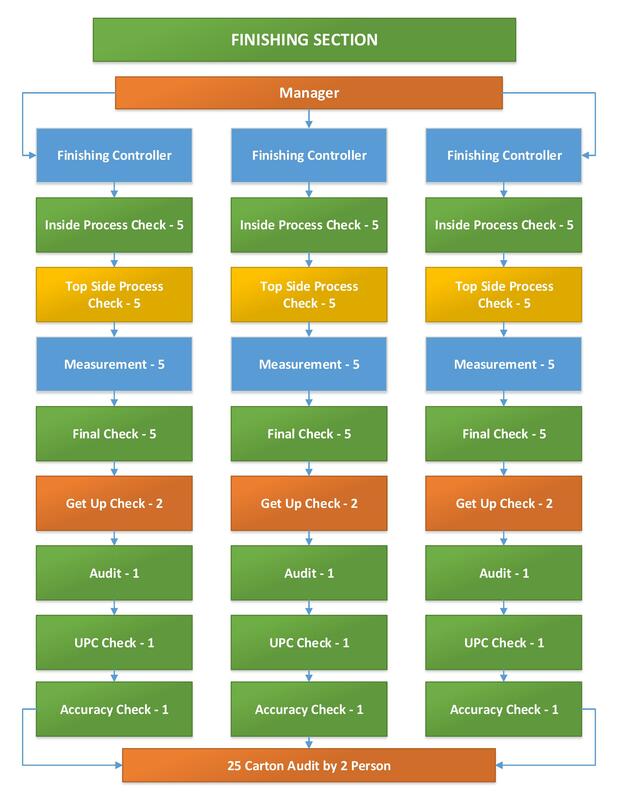 Flow Chart is a branch of data where operation list show sequence wise to understand what the process will set after a process. Generally, we make two kinds of garment products in the apparel industry, one is the top item another is the bottom item. 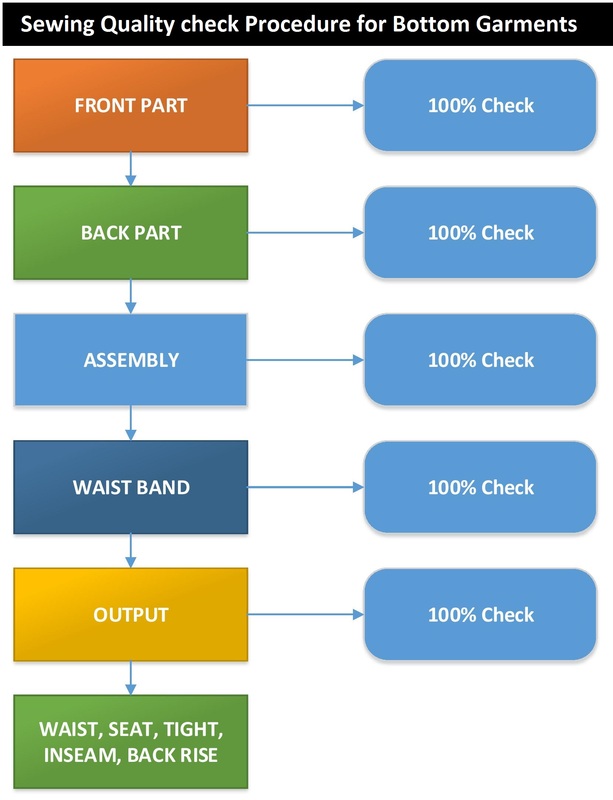 The working flow chart is very different from every garments item. 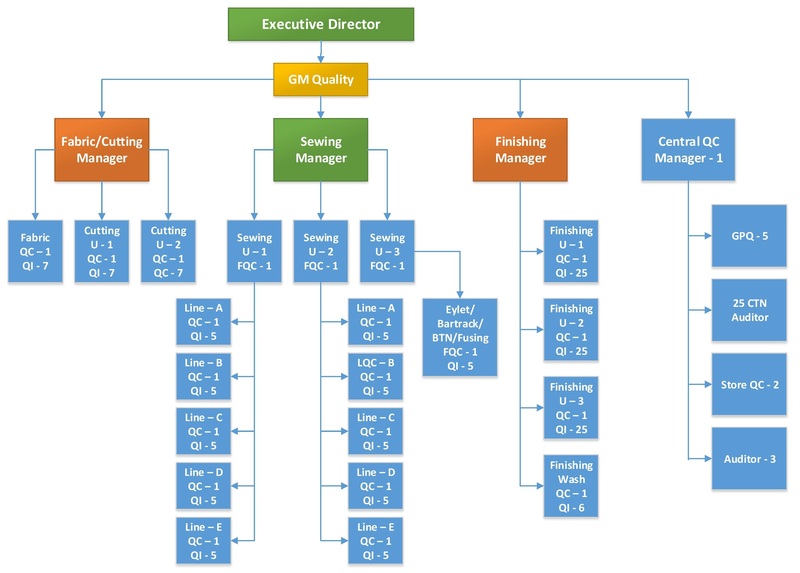 Garment quality control organogram is a diagram that shows the structure of a garments factory quality department and how the various positions are related to each other, frequently used to show the chain of command and relative ranking of various positions in this department and include information such as the job titles, names, areas of responsibility for the employees and sorted out from top to bottom position. Here an organogram is given in below. 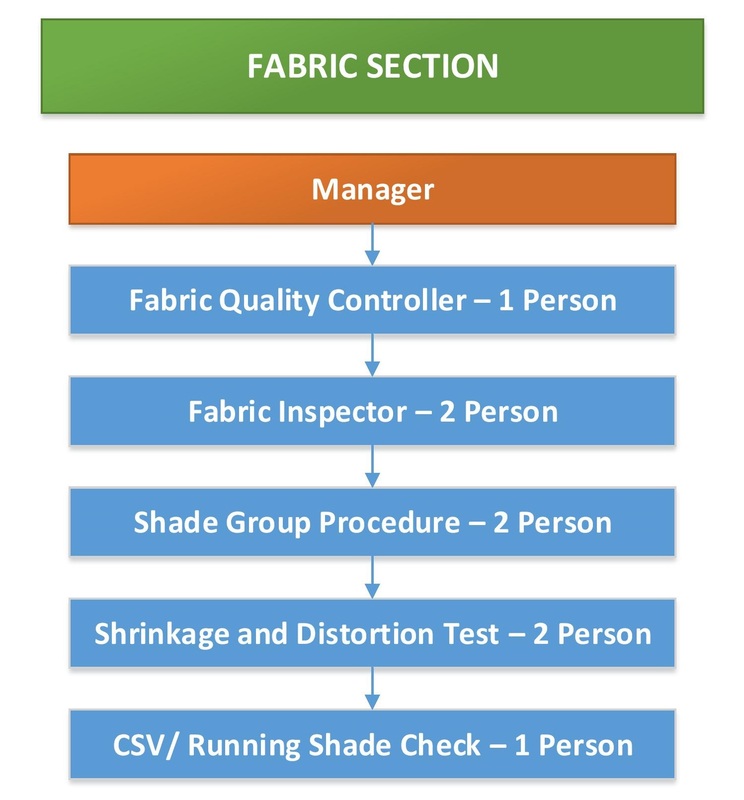 Garments factory have long working flow of quality control to assure the quality of a garment product, many quality checkpoints and staff with responsibilities. 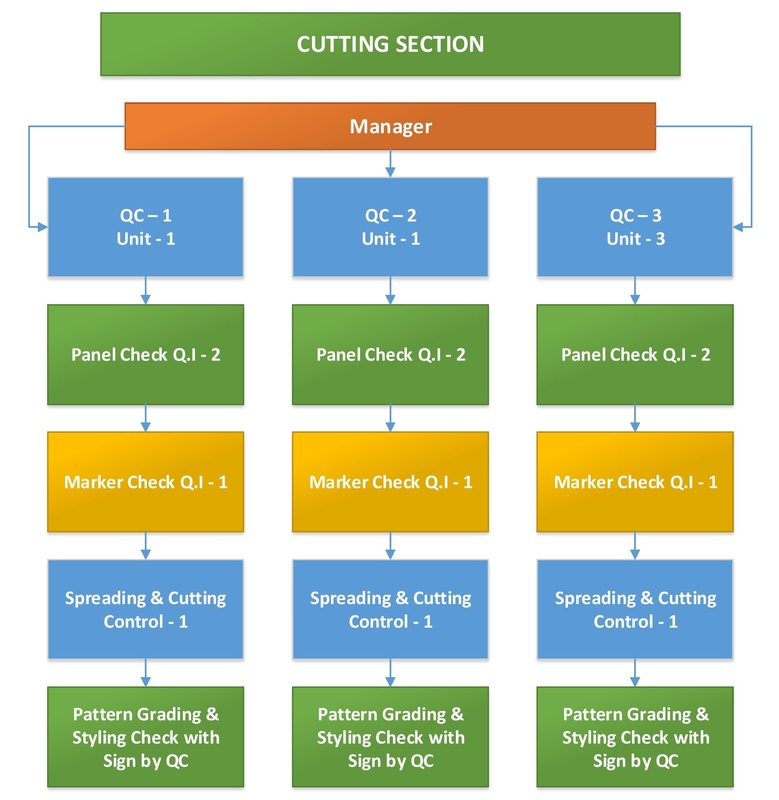 I have added every quality inspection points sequence wise to understand clearly and section wise quality management organogram. 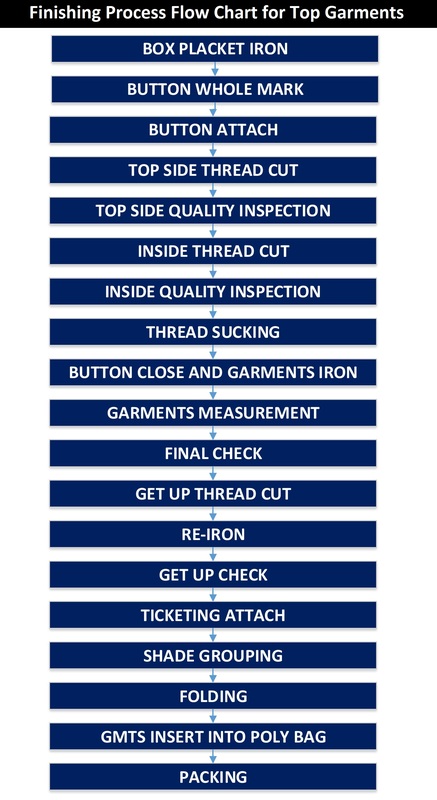 Hope this content will help all of you about a different quality process of a garments factory. 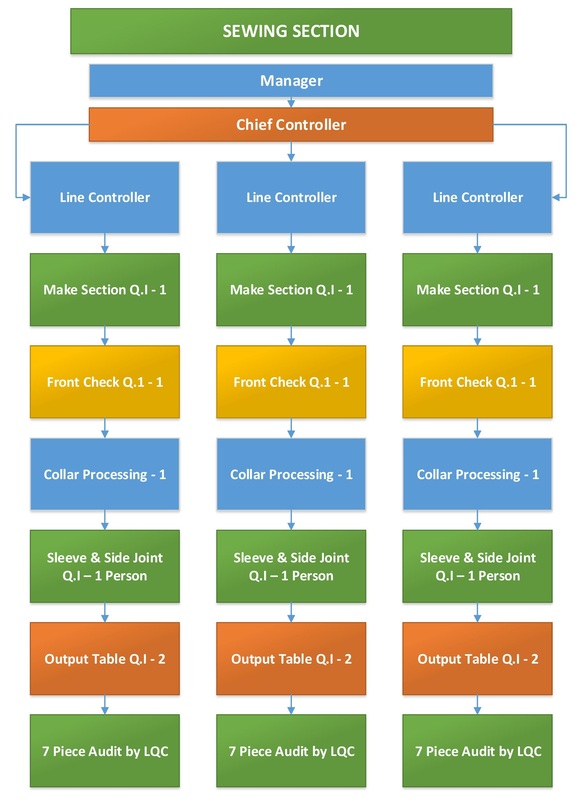 In this article, I added a quality controlling Layout of every section of garments with required manpower list.